Is a Morrisons interview coming up? Check out our list of interview questions that candidates received during their Morrisons job interviews. Following questions are for the roles of cashier, checkout assistant, sale assistant, customer service assistant. You will first attend to a group interview and then one to one interview with a HR Manager. If everything were ok and you pass the interview stage then you will be offered the job and induction day will follow. Graduate interviews are completely different than other ones and they would expect different stages such as telephone interview first and then assessment centres etc. How would you deal with a complaint from a customer? What would you do if you were busy but a customer needed help? Can you give an example of a time you’ve had to work within a team/work to a deadline? What would you do if you were working within a team and somebody wasn’t pulling their weight? How do you like your voluntary work? What can you bring to Morrison’s? 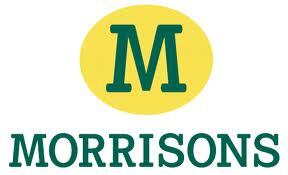 What do you think of Morrisons? What would you improve in store if up to you? Are you flexible about where and when you can work? What is your greatest strenght? To select a product and sell it to the interviewer. Name a time you have worked in a group and how you acted within the group/ who became the natural ‘leader’ of the group. STAR technique, give a Situation Task Action Result. What developments have you noticed in the retail sector that could have an impact on Morrisons’ customers? What do you think about home delivery? How do you think you could benefit the company? Have you got any previous experience?